Despite or because I have a degree in the subject, I rarely read propah History books these days. I’ll happily browse, riffle, dip-in-and-out, or skate over reviews in the Sundays: but read cover-to-cover? No. But Cercas’s account of the events of Spain on the evening of 23 February, 1981, when extremist Francoists attempted a coup d’etat, is a genuinely absorbing page-turner; probably the best historical account I’ve ever read. Cercas is an author, not an historian; and the book was originally conceived as a novel. But, with reality more riveting than invention, this is largely a factual account. But it’s elevated by two things. 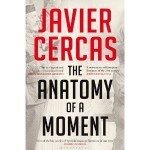 First, Cercas’s fascination with the video footage of the golpistas‘ assault on the Cortes, the Spanish parliament, in which he analyses, almost frame-by-frame, the famous reactions of the three men who refused to be cowed by Colonel Tejero’s gunfire: outgoing Prime Minister Adolfo Suarez, his loyal military deputy, Gutierrez Mellado, and Santiago Carillo, head of the only recently-legalised Communist party. 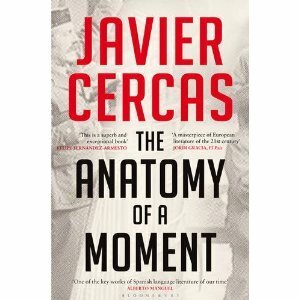 And secondly, by the brilliant combining of historical, biographical, psychological and philosophical insights to build an utterly convincing, totally absorbing, breathtakingly personal and ambitious account, a book which, by placing the events of ’23F’ under a microscope, enlarges on Spain’s remarkable transition from dictatorship to democracy in just six years.